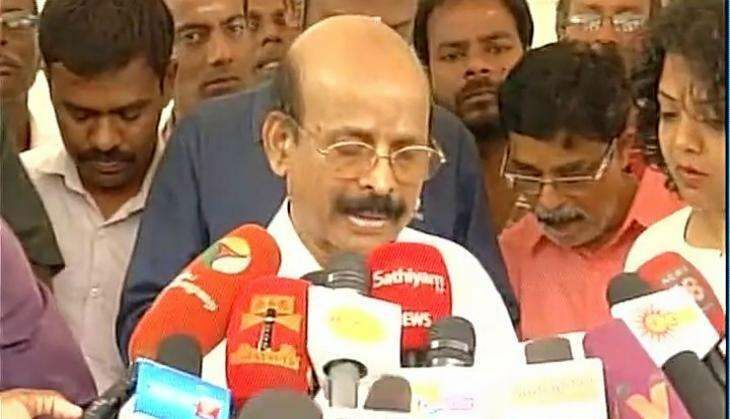 Senior AIADMK leader C Ponnaiyan on 10 December said the party will elect its new general secretary unanimously. Late Chief Minister J Jayalalithaa was earlier the AIADMK general secretary. However, rumours are doing the rounds that if the decision is said to be unanimous, then Jayalalaithaa's close aide, Sasikala Puspa could take over as the new party chief. While O Panneerselvam has taken over as the new chief minister of the state, Sasikala's supporters have said she could be the natural choice for the party chief. According to media reports, other contenders for the post would be Lok Sabha deputy speaker M Thambidurai and senior leader KA Sengottaiyan. But Ponnaiyan indicated there will be no contest. "Party remained united under Amma and will follow the same in coming days. We will unanimously choose a candidate for the party," Ponnaiyan told reporters. While Panneerselvam was the finance minister in her cabinet, and had stepped into the CM's role when Jayalalithaa came under scrutiny for alleged corruption, Sasikala, has been close to Jayalalithaa for the past two decades, irrespective of differences between the two.